The North Bay theater calendar includes shows in Mill Valley, San Rafael, and Ross. Other performing arts venues on the schedule include Santa Rosa, Petaluma, and Novato. Just north of San Francisco, you will find everything from well known Broadway productions to locally written gems. The 6th Street Playhouse is a renovated 107-year-old Del Monte cannery located in historic Railroad Square in Santa Rosa. The square now operates as a quaint little shopping area where you can grab coffee, dinner, or a glass of wine before or after the play. This playhouse is home to two North Bay theater companies, which present everything from dramas to popular musicals to children's shows, from August through May. Cinnabar Theater was created by San Francisco Opera singer Marvin Klebe in 1970, when he and his family decided to transform a two-room schoolhouse in Petaluma into a lovely community space for performance and creative collaboration. You can catch North Bay theater performances--from Tony Award-winning musicals to contemporary plays--from September through June, as well as concerts and performances by Cinnabar's Young Rep group. Most shows are only performed on weekends. The Luther Burbank Center for the Arts is located in the heart of Sonoma wine country in Santa Rosa. Founded in 1981, it is ranked among the world's top 100 performing arts centers. It is also well known for its education programs and camps. The center offers a wide variety of performances in music, North Bay theater, dance, and comedy, as well as family shows and speaker events, all throughout the year. Most shows are only performed on weekends. Since 2004, Marin Onstage has been operating with their parent company and non-profit, the Novato Theater Foundation, helping local performing arts groups and individuals produce quality programs with success. Each year, you can catch North Bay theater performances by local talent from August to April. They also offer concerts that showcase music and dance of different genres. The Marin Onstage theater and music group is located at the Belrose Theatre in San Rafael, where you can also take dance, acting and improv classes. Most shows are only performed on weekends. The Marin Shakespeare Company, founded in 1989, is the only professional Shakespeare company in the North Bay, and is a major asset to the West Coast Shakespeare scene. The annual outdoor summer Shakespeare festival is one of Marin's most beloved cultural events. The shows are so popular, they attract audiences in the tens of thousands. Enjoy their North Bay theater performances during the summer months from June to September. Most shows are only performed on weekends. Marin Summer Theater is a youth North Bay theater company that consists of students ages 13 to 23 in many different disciplines of performing arts, including acting, singing, dancing, music, design, and tech and crew. 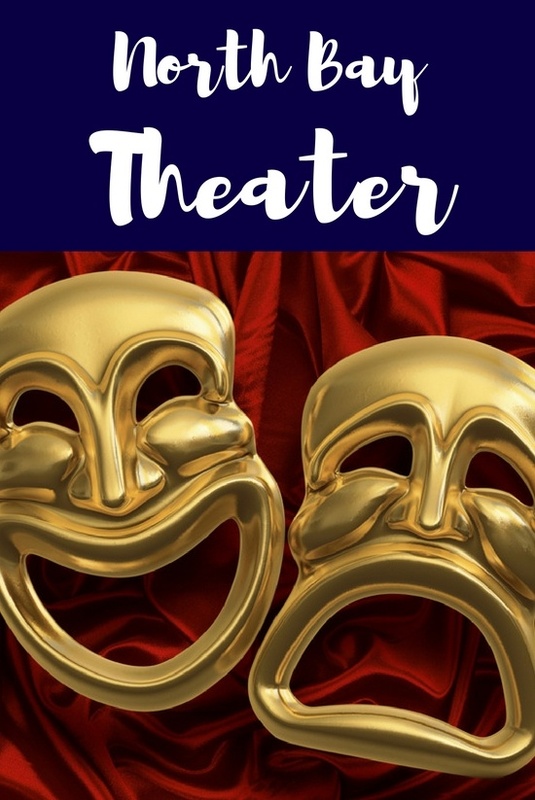 Every June and July, this group presents three fully-staged productions that showcase their breadth of talent--usually one play, one dramatic musical, and one dance-heavy musical. Catch one of these fantastic shows at San Marin High School in Novato. Most shows are only performed on weekends. The Marin Summer Theater is taking this summer off. They plan to return again next year! Founded in 1966, the Marin Theater Company has recently celebrated 50 years as one of the North Bay's leading professional theater companies. Also the premier mid-sized theater in the whole Bay Area, this place offers two performance venues--the 231-seat main stage North Bay theater (where you can watch six main shows each season), and the 99-seat studio theater (where you can watch four Family Series shows). One thing that makes this group unique is its focus on American playwrights from the 20th century and today, also encouraging emerging new playwrights to bring to fruition their provocative and passionate work. Most shows are only performed on weekends. Ross is a very small town just west of San Rafael. There, in the 1930s, Beth Lloyd and a group of women founded the Ross Valley Players theater company as a way to cope with the Depression, later transforming an old rundown barn into theater it is today. Throughout the year, the Ross Valley Players offer six plays, plus one full-length production of an original, provocative piece by a Bay Area playwright. Their work is diverse and aims to not only entertain, but to enliven the human spirit. Each new season starts in September and you can catch performances through August. Most shows are only performed on weekends. Spreckels Theater Company stands out for its elaborate Broadway productions, said to rival Broadway itself. They are dedicated to bringing classic musicals as well as modern Broadway hits to the stage, using state-of-the-art lighting and sound, as well as incredible costumes and scenery. Their North Bay theater productions have included Titanic, the Musical, Disney's Tarzan, and Big Fish. Spreckels Theater has become one of the most popular companies in the North Bay. Their season runs from August to May, and you can catch performances in the beautiful Nellie W. Codding Theater in Rohnert Park. Most shows are only performed on weekends. Summer Rep in Santa Rosa is one of the few companies in the US that offers a fully rotating repertory throughout its dynamic seven-week season. That means they produce five different plays and musicals simultaneously, transforming the actors and stage each day so that you can see a completely different show from one night to the next, rather than waiting for one play's run to end and another to begin. The company has been producing spectacular plays and musicals, and preparing actors for Broadway, film, and television, for several decades. Most shows are only performed on weekends. Taking a hiatus in 2018 due to the fires last fall. They will return with a full schedule of performances in 2019. The Imaginists are an ensemble North Bay theater group that aims to break from the traditional and, as the name suggests, re-imagine theater. They consider themselves a performance laboratory that explores new possibilities of what theater can be, who participates, and where it takes place. The group presents everything from re-worked classics to bilingual and site-specific pieces to bicycle-powered shows in the park. The Imaginists are based in Santa Rosa, but offer performances in a variety of venues. Most shows are only performed on weekends.